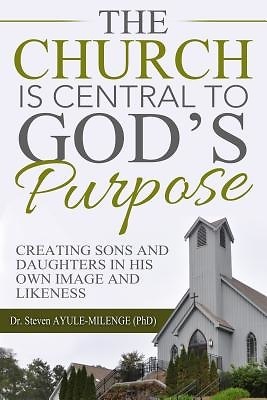 The purpose of this research is to find out how some Church leaders are asserting that falsehood is truth and that the truth is false by abandoning the clear teachings of Scripture and Church tradition. That truth can be discovered by attending to Scripture and tradition. In order to refute Church doctrines which do not follow Christian belief; since the Church is the Church of God, not a human institution or organization which is managed by humans, Church leaders must teach Biblical truth. The goal of human existence is union and eternal fellowship with God. The eternal fellowship is in the obedience to God. The Lord Jesus gave his disciples the task of proclaiming the Kingdom. We are to go into the world and preach the Gospel of salvation, to teach the principles of the Kingdom of God, heal the sick and deliver those afflicted by the demonic (see Matthew 28:19-20). The Church is designed to be a full expression of the body of Christ here on earth. The internal functions of the Church are therefore aimed at relating the members correctly with the head and with each other. The image of God in man is that Spirituality through the Church. God is Spirit, and it is but natural to expect that this element of spirituality also finds expression in man as the image and likeness of God. The Church as the continuation of the incarnation-as the continuing presence of Christ in our world; as the locus of God's offer of grace to us-coming to us still both in the preaching of the Kingdom, the healing of the sick, and the sacramental system of Catholic Christendom where believers grow to the maturity in-as an extension of God's Ministry on the world. Our faith in Christ leads us to be conformed to the image of Christ. Christ's return will complete restoration of God's image and likeness in man.